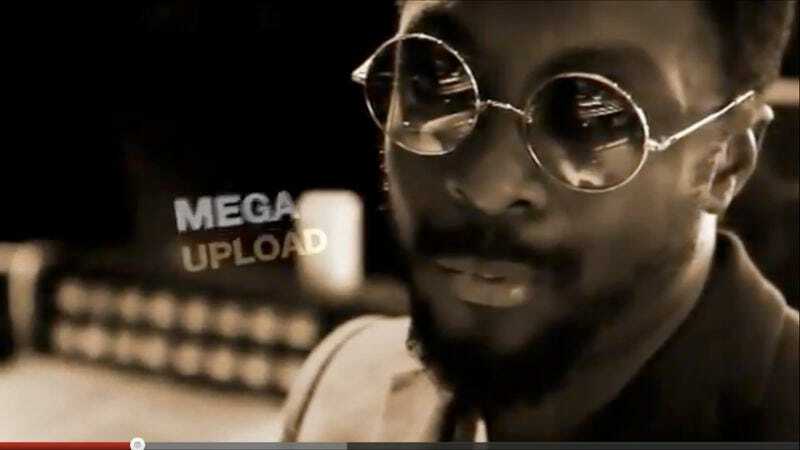 In what might be the second most interesting story ever involving a controversial video starring Kim Kardashian, YouTube lifted a block on a video advertising Megaupload featuring Kanye West, Will.i.am, Chris Brown, P. Diddy, Macy Gray, boxer Floyd Mayweather, Kardashian, and several other random famous people literally singing the praises of the file-sharing website. The video had been taken off the site at the request of Universal Music Group due to "the unauthorized use of a performance from one of our artists," the now semi-known singer-songwriter Gin Wigmore. But we're guessing it might also have something to do with millions of people using Megaupload to "sample" UMG's music.